I wish I had managed to get better pictures of this manicure. I used China Glaze's Chromatic Glitters in Prism and Liquid Crystal, but I couldn't manage to get a picture that properly showed off all the shifts this polish does. Prism shifts from purple to silvery to sort of blue and Liquid Crystal start out as sort of a blue and shifts to purple, pink, and a little silver. 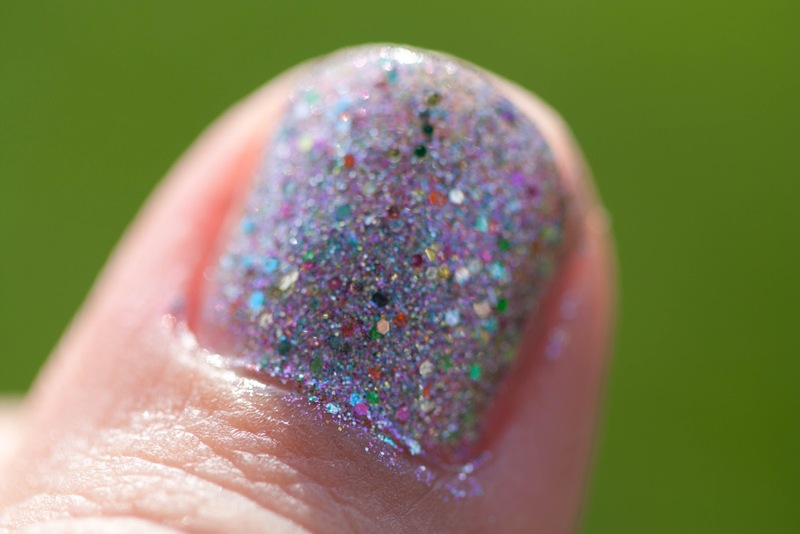 These are gorgeous polishes and you should go buy them. I'm such an enabler.